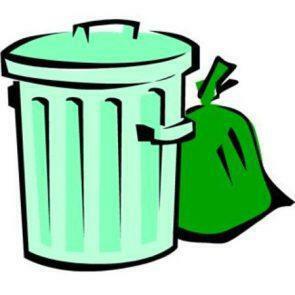 Bulk Trash Day will be Saturday, May 18th 2019 for the Malvern Borough. Please have your items curbside no later then 7am on the 18th. Bulk items include household furniture and appliances without Freon, certification of Freon removal must be visible. Two people must be able to lift the items into the collection vehicle. The items should be under 5′ in length. Acceptable items collected includes: bed frames, box spring, mattress, dressers, end tables, sofas, chairs, tables, hot water heater, washer, dryer, stove, dishwasher, carpet cut into 4′ sections, rolled and taped or tied, toilets can be taken. Non-acceptable items collected include: construction debris (permanent fixture of the home), hazardous waste, car parts, tires or plant waste, electronics, tvs, bricks, dirt, or concrete, liquids or sealed containers such as propane tanks. Large piles of debris will not be collected. Items that cannot be bagged or boxed for regular Tuesday and Friday collection must be bundled and will be taken as a bulk item. Please reach out to the Malvern Borough Administrative Office with any questions regarding Bulk Trash Day and items collected. This entry was posted in Uncategorized by Mark Koenig. Bookmark the permalink.